Now that you know the best way to load your trailer, it’s time to take to the road. 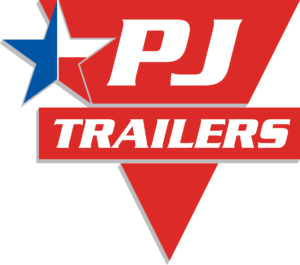 However, making sure your trailer is loaded properly is just the beginning of safer towing. Hauling your trailer from your starting point to your end destination, whether it’s across the street or many miles away, requires you to be attentive and always be aware so that any safety concerns can be addressed quickly in order to avoid a major issue. The first step to safely hauling your trailer is to read your owner’s manual all the way through. Your owner’s manual will contain instructions and safety messages that are specific to your trailer. You need to make sure your trailer is securely connected to your tow vehicle, as well as make sure that your tow vehicle’s tires are inflated properly. Once you’ve taken care of these steps and properly loaded your trailer, make sure all lights are working properly and that the load is secure. Next, you’ll want to make sure you have a fire extinguisher, flares, and reflectors on hand in the event of a roadside emergency or other issue. Then, make sure all passengers buckle up. Never let passengers ride in the trailer, as this creates a risk for injury from shifting cargo, asphyxiation, and lack of collision protection. The final step before you depart is to check and adjust your mirrors. Now that you’re on your way to your next destination, there are several steps to keep in mind in order to stay safe on the road. First, avoid distracted driving as this is a major cause of car accidents. Never text while driving. If you need to text or make a phone call, find a safe place to stop and then make your call or send your text. Also, don’t drive when you are sleepy or fatigued, and avoid driving at night when possible. Easing off the gas pedal and slowing your speed to 25 miles per hour in the event that a wheel goes off a paved road, then gradually steering your vehicle and trailer back onto the road. Additionally, we recommend stopping at the following intervals to inspect your vehicle, trailer, and trailer connections to check for safety issues that may be developing, as well as for a chance to rest and/or change drivers if needed. After 10 miles and 25 miles: Stop and retighten lug nuts, check tire pressure, and make sure couplers are secured. After 50 miles: Stop to check that couplers are still secured, safety chains are fastened and not dragging the ground, and that your cargo is secured. There is a lot that goes into safely hauling a trailer from one point to the next. However, it’s important to follow these steps in order to make sure you arrive at your destination with your car, trailer, and load in tact. For additional helpful information regarding safer towing, please refer to your owner’s manual, our Pre-Departure Checklist and Guide to Towing, as well as our YouTube channel.